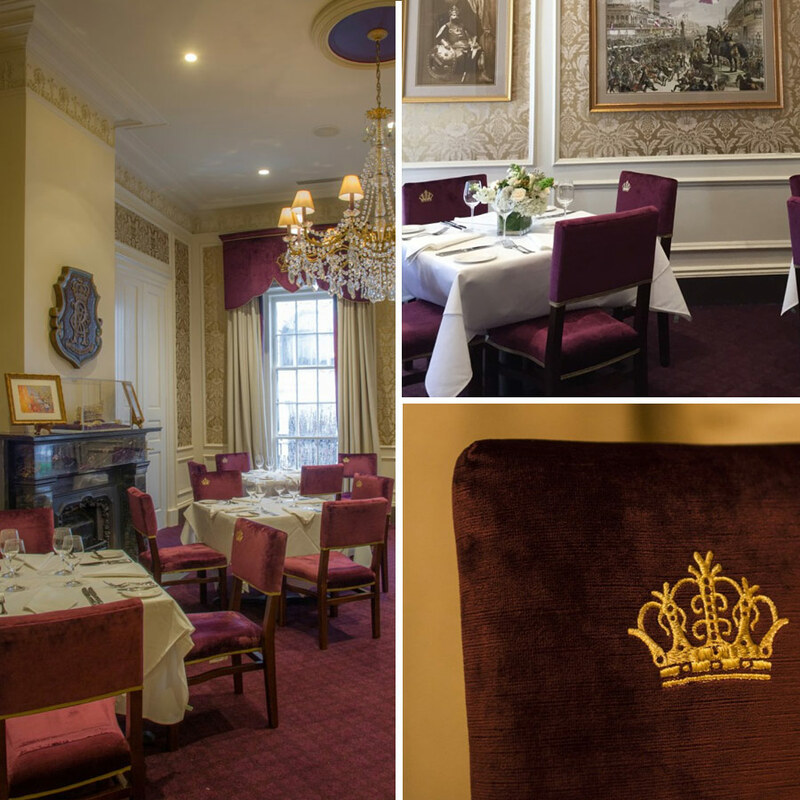 The majesty of the King's Room is heralded upon entrance, with its ruling theme of royal hues proclaimed throughout. The handsome design boasts cream and gold damask wallpaper and a large crystal chandelier. Replicas from the inauguration of Queen Elizabeth at Westminster Abbey, the purple chairs are embroidered with gold coronets, as are the heavy drapes in purple and ivory. An authentic display of historic treasures from carnivals past is curated by the Rex organization. 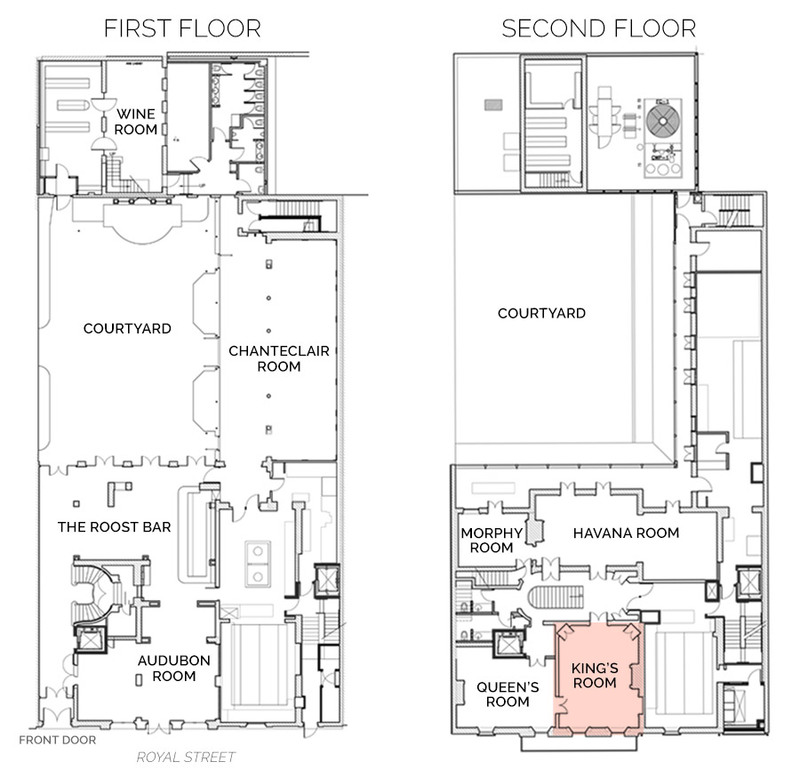 The King's room is located upstairs adjacent to the Queen's Room, and the two dining rooms originally formed a double parlor. The sumptuous King's Room seats forty-eight in regal style.